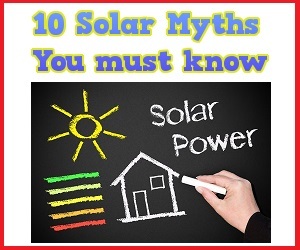 Sharp Solar has over 5 decades of history of being a player in the Solar development field. Since 1959, Sharp has focused on expending efforts towards R&D in the solar area and has achieved path breaking solar solutions. Sharp has a strong Eco-Positive mission which believes that as consumers of power it is also their duty to create power. In 2010, Sharp signed an agreement to help establish the world’s largest solar power plants. Sharp boasts of a vast range of Solar solutions. In recent times, Sharp has the unique distinction of having developed the most efficient Solar panels with a staggering efficiency percent of 44%.This is a remarkable technology breakthrough as the best commercial models have only been able to achieve the 20% mark so far. In order to achieve this level of efficiency, Sharp used a concentrator triple-junction compound solar cell. In this the light is first passed through a series of lenses which focus the photons on a central location. The ensuing concentrated light beam is then converted into electricity by three photo-absorption layers. Sharp Panels use high quality silicon films and solar cells which deliver high efficiency electricity generation and are also cost effective. They have any advantage of having an integrated manufacturing process from the cells to the panel. Highly increased light absorption through innovation in surface texturing of panels which yields a high efficiency ratings. An array of Sharp solar cells offers higher power output than others. Sharp’s solar panels use high end technology to ensure they do not generate any harmful emissions back into the environment and yet maximize power efficiency.